Pyramids-Futureguide Astrology Readings Thane India|Tarot Reading,Feng-Shui,Gem-Stones, Meditation,Numerology in Thane,Mobile Numerology|Pendulum Dousing Thane, Astrology,Chakras Healing Thane Mumbai. Pyramid is a powerful tool of creating and balancing the positive energy and prevents the negative energy. By using pyramids we utilize our own hidden capabilities to achieve a better tomorrow. Pyramid is practical tool to harmonize mind, body and spirit with environment, by just placing pyramid at appropriate location to achieve good health happiness and prosperity. Pyramids are ideal for correcting vastu and feng-shui defects without physical alteration, shifting breaking of homes and office. To have a good home is our basic needs. Happiness, harmony, prosperity and good health are what we desire there. Vastu feng-shui harmonizes our spirit, home and environment. 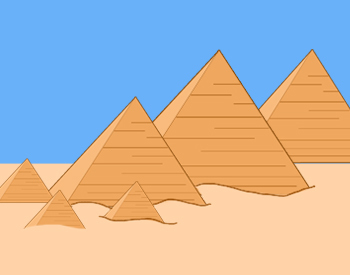 With the help of different types of pyramids it possible to remove the defects found by feng-shui and vastu. Pyramid deals with the roots or vital energy, behind all action within it, with pyramids based on mind over metter. It deals with our inbuilt power and ability of mind, body and emotions. Pyramid techniques are already using by thousands of people for corrections of vastu and feng-shui, as a medicine, as a meditation tool, as a protector. It is harmless tool comparing to the other remedies available in the market. Pyramids are used in car to protect from accidents. It also used for students to improve concentration. It can be used to enhance luck. Beams and columns contain maximum negative energy so pyramid is must there. By using pyramid outside the main door we can prevent bad energy outside the house. We can personalize our own pyramid by using our date of birth to enhance our own luck.